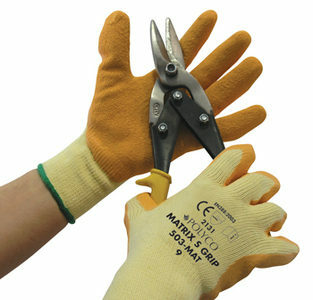 Matrix S Grip, Seamless Knitted Polycotton Liner with Latex Crinkle Coating. Seamless knitted polycotton liner. Grip Good wet and dry grip. 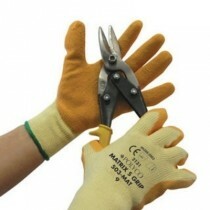 Latex coating On palm and fingers with the back of the hand open for extra ventilation.